Whether you’re an adult or starting your teenage life, home sewing is one of the really useful skills you could learn and continuously practice. Being able to mend your dresses or even sew everything from start to finish can create a kind of feeling similar to self-accomplishment and fulfillment, this is even apart from it being a really fun experience. There is a caveat though. There are too many sewing machines on the market that a beginner may completely get lost while trying to choose between these many different brands and models.Our discussion today will focus on finding the best sewing machine for beginners who are starting out with their new-found passion and hobby. We’re for a great deal of fun and if you are able to follow all we’ve laid out in this guide, you’ll no doubt find the perfect sewing machine to help you quickly hone your skills as you set out to become a sewing expert. Remember, we all start from somewhere too. You’ll no doubt have seen someone putting a button on a dress or stitching together a seam by hand. This can easily explain the basic concept behind the operation of sewing machines. Rather than using needles to sew through clothing and fabric materials entirely with the hands, the sewing machine does this but the beauty of your final result depends on your skill. Even though it seems very easy, it is something that will require a bit of learning and practice on your part. To start out, you’ll need a sewing machine. The machine you choose will also be a factor in deciding how quickly you can perfect your sewing skills. As a beginner, you’ve got a lot of things to consider when choosing a sewing machine. There are a handful of considerations and decisions you’ll have to make. In here, we’ll discuss the most important four of these starting with ease of use. This is the most important thing and that is what we’ve based most of our recommendations on. The market has several models and brands of Brother and Singer sewing machines and more. They all come in different prices as well as with different features and qualities. What should mostly concern beginner is the ease of use of a machine as that will greatly help to aid the learning process. You won’t want to deal with machines breaking down or facing unnecessary problems that will distract your attention in the middle of a sewing session. This is most important for people learning to sew. Rather than just pick anyone you find around, endeavor to go for sewing machines with tested and trusted integrity as regards functionality, reliability, and durability. 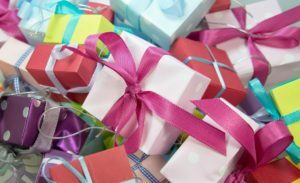 Whether you’ve got thousands to shell out or a couple hundred dollars for a reliable sewing machine for beginners, the market has all these. However, pricing at times may not be a deciding factor in the suitability of a sewing machine. Most of the sewing machines for beginners are quite affordable and you’ll easily find really great ones for even less than $200. This should largely depend on your preference. Computerized sewing machines often come with very many options and you can easily perform many tasks with the touch of a button. This type is particularly great for quilting and embroidery and will generally make other tasks easier. Manual sewing machines, on the other hand, do not come with many of these options but they are stocked with more than enough features for beginners and learners at different skill levels. For young people, this is okay and learners won’t get confused or lost between the very many features most of which won’t be used until sometime. One of the many things you stand to gain is the ability to customize your personal clothing and dresses as you want. With some of the entry-level sewing machines, you can easily produce amazing dressings, curtains, and more to fulfill your fantasies. Along with the power to self-produce and sew your own things, this also helps save you a few bucks that would have otherwise gone the other way out. For hobbyists with a passion for fashion and dresses, it could be a great way to build your creativity and bring out the genius in you. Sewing is one of the really great hobbies that can also pass as really useful skills. You can easily decide to create stunningly cute and creative items for yourself, or as a gift for family and friends. The most common issue beginners should try to avoid has to do with thread tension. A very low thread tension would often mess up your sewing. The stitching would also be messy and the bigger mess is when this thread tension causes your sewing machine to jam up. If on the other hand, your thread tension happens to be too high, it can easily break your thread. If it happens that the thread gets caught up in the internal gear mechanisms of the machine, it could result in a costly damage to your sewing machine. For most models and brands, this repair is often not covered. To ensure you do not repeatedly pinch yourself when newly starting out with sewing, be sure you’re getting a sewing machine that can help you thread the needle properly. Sewing machines need proper care and maintenance just like many other gadgets and devices. Maintenance and care for many sewing machines can be done easily. Most of the requirements and methods are often detailed in the user manual that comes with the sewing machines. The internet is another great place where you’d usually find a lot of videos and tutorials to help you with using and caring for your machine. Cleaning the lint around the bobbin case and the feed dogs will help to ensure that the smooth operation of your machine is not affected. Many sewing machines would often come with a small brush with which you can do this. Refrain from using compressed air in cans because the air can blow the lint further back into the machine. Most issues with stitch quality and tension can be fixed by taking out and rethreading the bobbin. Also, ensure your sewing needle is fixed correctly. It’s also great to replace this as at when due. Some sewing machines often come with sewing machine oil with which you can lubricate the machine occasionally. While some do not need this and will work without it, you should always endeavor to follow instructions as laid out in your manual when oiling the sewing machine. For most parts, when the bobbin thread appears to be tangling, it is often that the tension is not tight as it should normally be. If you can, you can gently tighten the screw on the bobbin case as this would increase the tension. You’ve got options that range from manual to computerized sewing machines. Manual sewing machines are generally cheaper than their automated counterparts but would require the users to learn more to be able to get outstanding results. These machines would often provide you with multiple stitching options as even the entry-level ones often come with about a dozen or more stitches for wide and variable use. The best computerized or automated sewing machines would often come with around 100 different stitches as well as a variety of buttonhole alternatives. It’s ea asy to create anything you want as all it requires is your time and effort. Some of the best sewing machines we recommend also have autopilot features such as speed settings to help reduce the occurrence of mistakes. 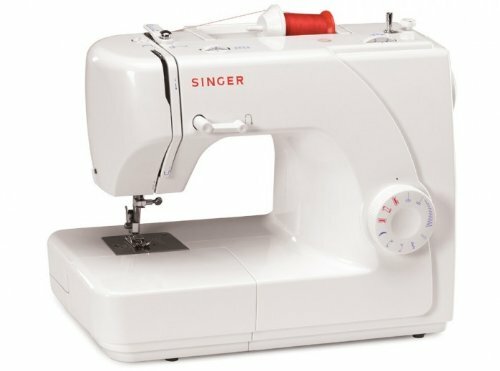 If you’ll like to know some of the best sewing machines for beginners making clothes and other items that have to do with fabrics, below is a full review of the best sewing machine for beginners that we recommend for high-level functionality to help with sewing during the early stages. 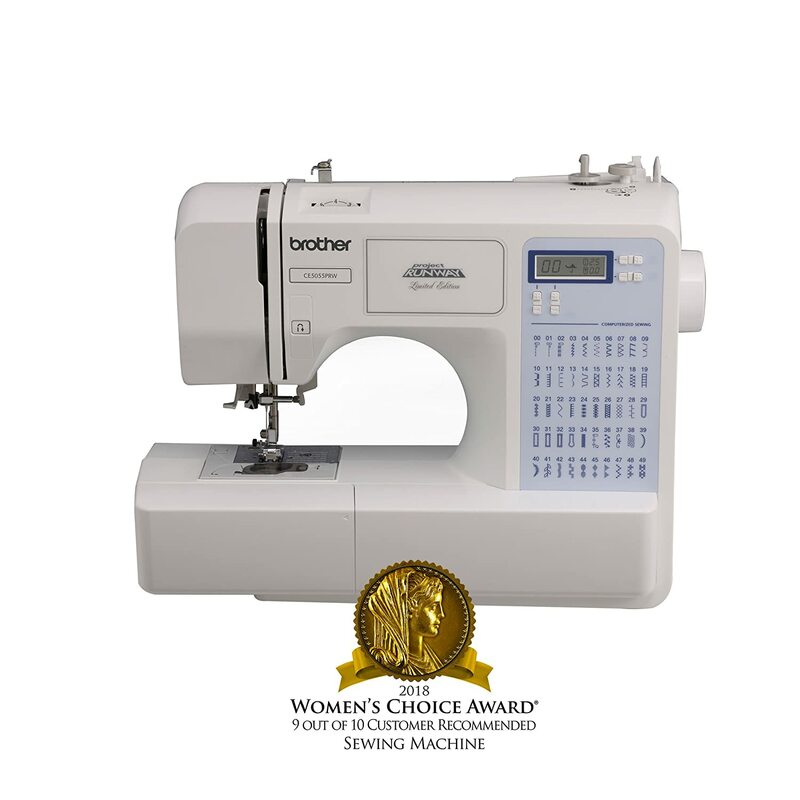 Starting off with our top ten recommendations for the best sewing machine for beginners is the Brother CS6000I Sewing Machine. It is a very hard-to-beat option if you are looking for the perfect sewing machine for newbies. The machine is feature-rich and inexpensive. It’s intuitive design and automatic features make it a more than enough option if you are in the early phase of perfecting your sewing skills. We can’t ever get done with this as the sewing machine comes fitted with abundant features for pro-level and amateur hobbyists and professionals. 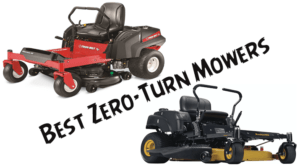 We’ll briefly highlight those very important features which should sway anyone over considering the incredibly affordable price the machine is being sold while still offering that much in features and performance. It is a computerized sewing machine with an LCD screen. 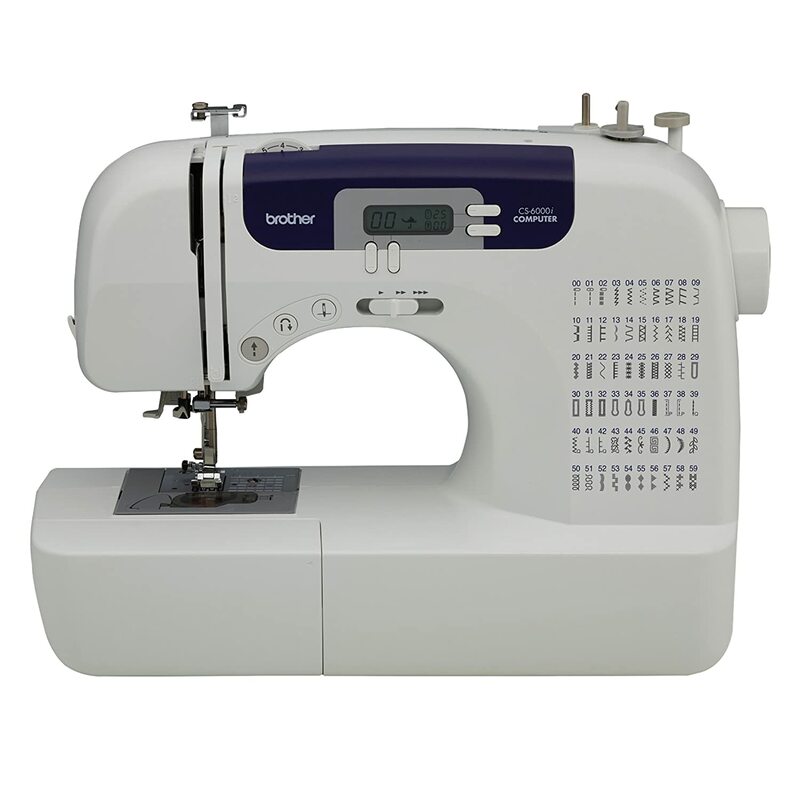 It’s got important features such as push-button sewing, auto-needle threading, variable speed control, 9 presser feet, and much more. It’s got many decorative stitches and a total of 60 built-in stitches at a sewing speed of 850 stitches per minute. Other features include a jam-resistant bobbin, a sewing table wide enough for quilting, and 7 1-step buttonhole styles among others. It also comes with a hard shell carrying case as well as the full instruction manual with a quick start guide. The Brother CS6000I Sewing Machine seems like a deal that is too good to be true, but it is actually true. Along with the hard-to-believe pricing and the seemingly endless features, the usability of this machine is pretty easy and amazing. Whether you’re starting out new or you’ve been away from sewing for a long time, the design and configuration of this sewing machine, as well as the easily comprehensible instruction manual will get you up and running in no time. The only issue is with the tension dial. The tension is manual despite it being highly automated. 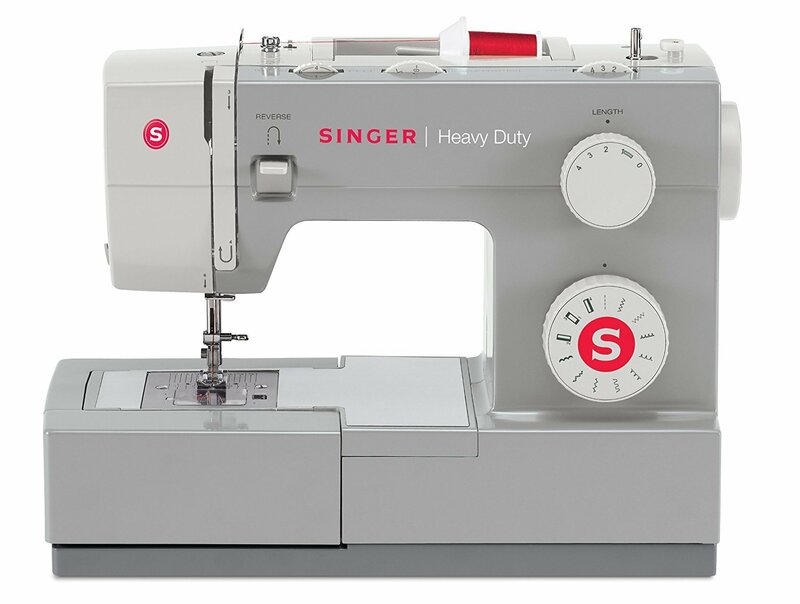 Even as an entry-level sewing machine, the Singer 7258 with its sturdy frame and heavy-duty motor has successfully won over professional seamstresses and sewists with its elegant and bespoke sewing quality. There is a total of 100 built-in stitches with which you can play with for different stitching options. It’s a computerized sewing machine and has got an LCD screen which enables users to check and adjust stitch width and length. It’s got plenty of excellent features which is even more than enough for the average seamstress. The fully computerized sewing machine design comes with 100 built-in stitches for greater flexibility. There are also 7 one-step buttonhole styles which are fully automatic. The jam-proof bobbin and transparent cover as well as a host of other features makes this sewing machine a perfect option to kick-start and perfect your sewing skills. You’ve got such a wide range of options as far as stitches are concerned. You’ve got a total of 100 stitches from which about 76 are decorative stitches, 9 are essential stitches, 8 stretch stitches, and 7 buttonholes. These stitches can be easily selected on the LCD screen depending on the particular type you want. 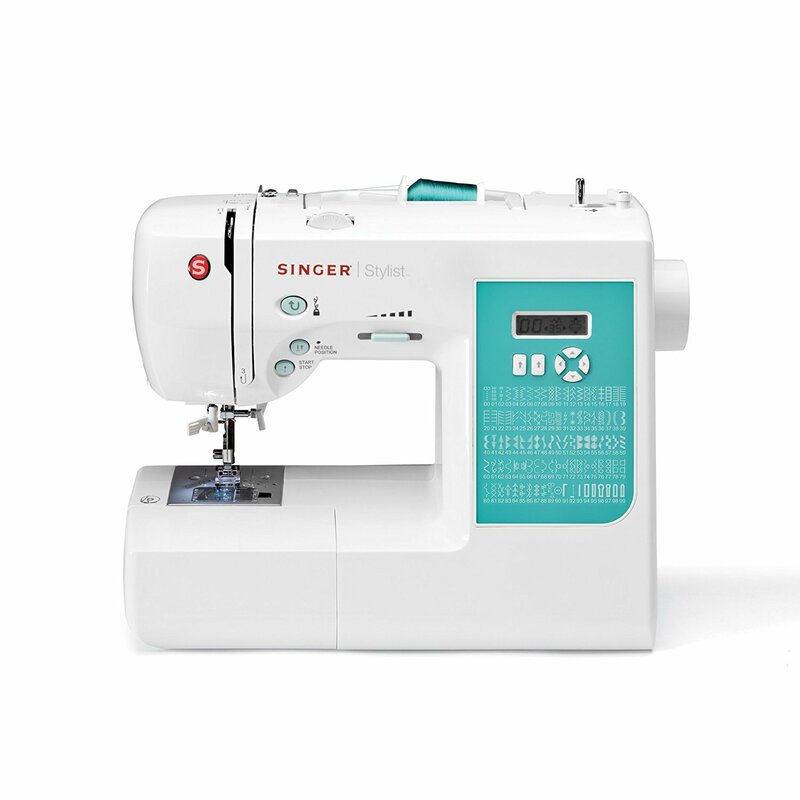 The Singer 7258 gives you the option to adjust stitch width and length without passing through the manual adjustment process of manual sewing machines. The refined stitch control options of the machine offer you a wide range of needle options to choose from. Both the stitch width and length can be easilya previewed and adjusted on the machine’s front LED screen. If you are looking for a sewing machine that is extremely easy to set up and use, then this may be it. The Singer 7258 Sewing Machine comes with an automatic needle threader making it extremely easy to choose a top loading bobbin. The instructions manual also comes with another DVD all geared at making your use of the machine a blissful and fruitful experience. Horizontal Thread Delivery, e t c.
The sewing machine comes with a protective plastic cover, accessory punch with needle set, cleaning brush, spool caps, bobbins, seam rippers, power cord, zipper foot, instruction manual as well as a DVD into among very many others. 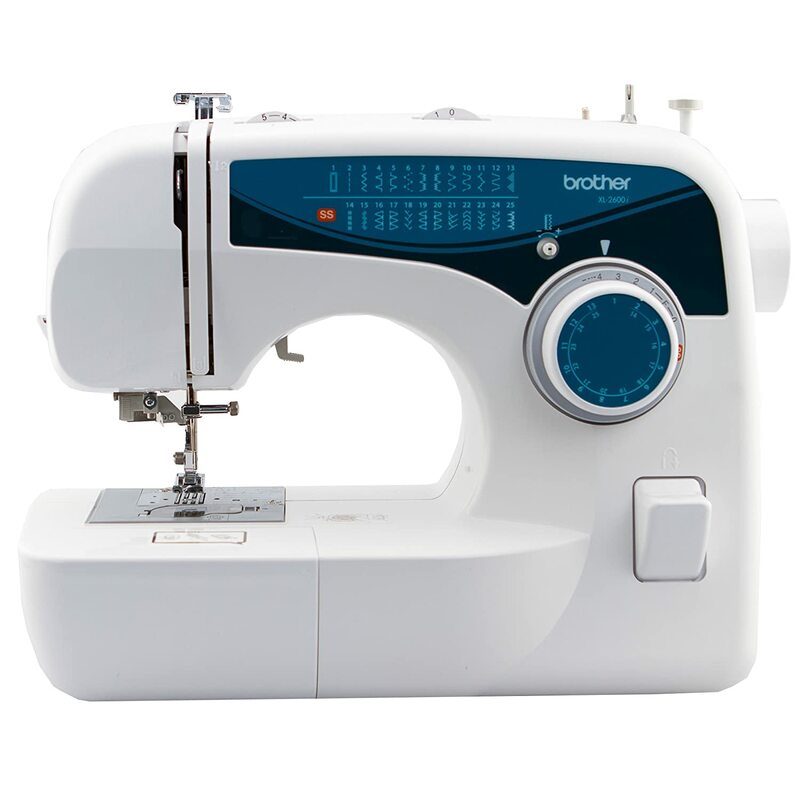 The Brother XL2600I Sewing Machine is one of the perfect options if you are a beginner learning stitching for the first time. This is a really inexpensive sewing machine but it is not cheap as far as features, performance, and reliability are concerned. A quick check on this sewing machine on Amazon and a host of other online retails will bring will likely convince you. It’s greatly affordable and is a great choice for beginners. It is rich in features and has even endeared many professional seamstresses who get along easily with this amazing bundle of fun. Beginners do not really need to start with those premium-priced sewing machines. All you’ll need to get started as a beginner is a sewing machine that can easily handle everyday sewing tasks. 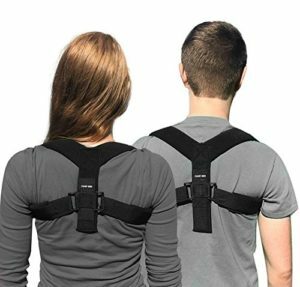 These are usually less expensive and are best suited to aid learning. If you need a sewing machine that fits this category, then no other comes close to the value this Brother XM2701 Lightweight Sewing Machine offers. The Brother XM2701 Lightweight Sewing Machine performs excellently well thanks to its excellent selection of features. It is now very popular among beginners as well as expert seamstresses. It is in such a high demand that it has officially become Amazon’s number one choice of sewing machines for beginners. Let’s have a quick look at some of these features. Threading needles for some people can be a difficult thing. This is often compounded when the person is suffering from a not-too-good eyesight or minor dexterity problems. With this Brother XM2701 Lightweight Sewing Machine, all of these become a thing of the past. All you need to do is touch a lever placed beside the machine and the machine can then push the thread right through the needle. It is that simple! You sure know you’ll have to select a particular stitch before you start and you’ve got a whole lot of 27 stitches to select from. All you need to select your stitch type is just turning the dial to match the needed stitch. There is a stitch dial located just above the dial and the corresponding numbers they represent. The feet will easily snap on/off each time you need replacement. You can easily choose from any of the six feet options available for use. You’ll find the LED light helpful as it can help illuminate the work at hand if you’re working a dim area. Although it is not all that bright, it works decently well but you’ll probably need a brighter light source if you’ll be working for longer sessions. The sewing machine comes with a 3-piece needle set, button fitting foot, twin needle, extra spools, 4 bobbins, screwdriver, and Instructional DVD among others. Speed is the most incredible thing about the Singer 4423 Heavy Duty Sewing Machine. While other sewing machines in its range manage to provide about 500 to 600 stitches per minute, this machine operates at an incredible 1,100 stitches per minute. That is not all the Singer 4423 is about though. The heavy duty sewing machine with a limited warranty of 25 years also has a wide array of features to cement its claim as one of the best sewing machines for newbies and professionals alike. The following is a brief overview of some of the many features or the heavy duty, feature-rich and affordable sewing machine. Reinforce stitches with reverse sewing option, etc. The Singer 4423 Sewing Machine is pretty easy to use and be set up by anyone regardless of their level of experience with sewing. The machine also has well-labeled parts which made it a great choice for learners as well. Along with two knobs that can be easily used to adjust stitch length and patterns, the sewing machine also comes with a user manual to help with its full use and maintenance. The sewing machine comes with 23 built-in stitches which is more than enough for beginners and okay for professionals. There are 6 normal stitches, 4 stretch, 1 buttonhole and 12 decorative stitch patterns for great flexibility of choices. Forget its cheap pricing, this Singer sewing machine stitches at 1,100 stitches per minute. A speed that is rare within this price range offering you a greater advantage of time and productivity. Despite being cheap, this sewing machine is not cheaply built. It is a heavy duty construction that will last for a long while as shown by its 25 years limited warranty. The inner metallic frame and the stainless steel body is bound to take you through years of happy sewing and reliability. As a beginner, you really don’t need all of those fancy and bogus features. What you really need is a sewing machine that offers you a balance between reliability and basic functionality. This helps to make sure your learning process does not get complicated and ensures you take one step at a time. By doing this, it becomes easier to learn and in no time, you can become an expert. For beginners who need the basic sewing features in a simple sewing machine designed with beginners at heart, this highly valuable Janome 8002D Serger Sewing Machine may be what you have been looking for. 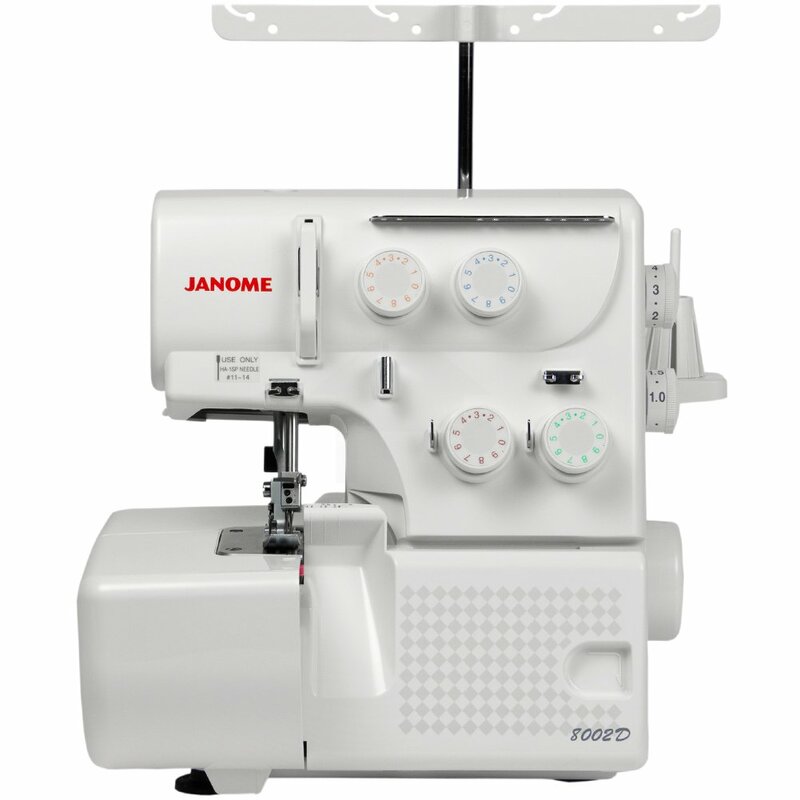 The Janome 8002D Sewing Machines sticks to the basics and so it is a really affordable machine. Let’s have a quick look at the basic features of this easy-to-use sewing machine at first glance. This is one of the reasons why we recommend the Janome 8002D Serger for beginners as it is extremely easy to set up and use. You may even discover in the Janome 8002D Serger that the tweezers may become almost unnecessary to use. It will easily handle natural fibers such as cotton, wool, and linen as well as a host of other fabrics, nits, and upholstery. It comes with a few accessories such as a set of needles, two screwdrivers, and tweezers, although storing these onboard is an issue since there is no significant storage compartment. 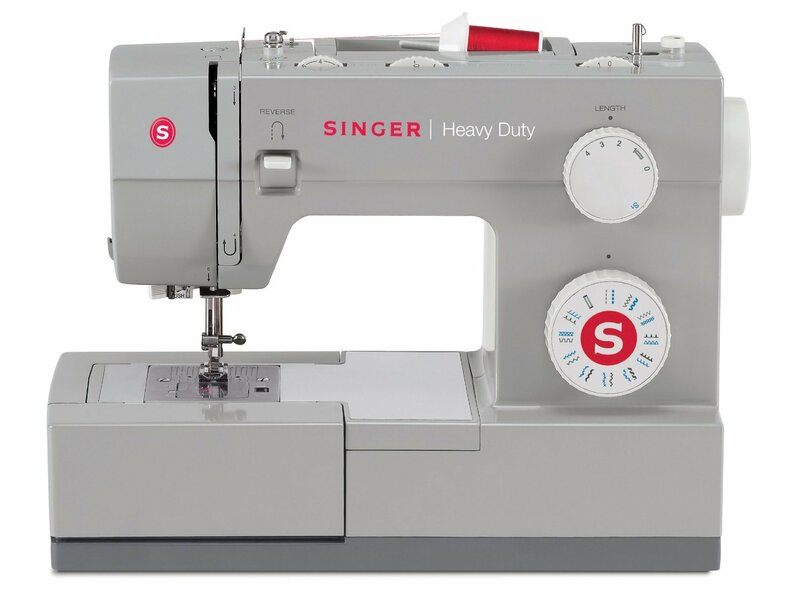 The Singer 4411 Heavy Duty Sewing Machine is designed to be used solely by beginners and professionals handling household sewing. It retails at a very affordable price and it performs excellently well above what you’d expect from most sewing machines in its price range. Although you’ll not be able to use it for heavyweight items, it’s still great for household items and will be definitely great for people learning to sew or those who had been away from the scene for a long time. The Singer 4411 Heavy Duty Sewing Machine has a motor which appears to be about 60% stronger as well as a heavy-duty metallic internal body. Stainless steel bed plate makes sure that feeding is smooth regardless of the weight of the material. The sewing machine will easily work with fabrics that include denim, upholstery, webbing, quilting, leather, vinyl, woven fabrics, overcoat fabrics, and much more. 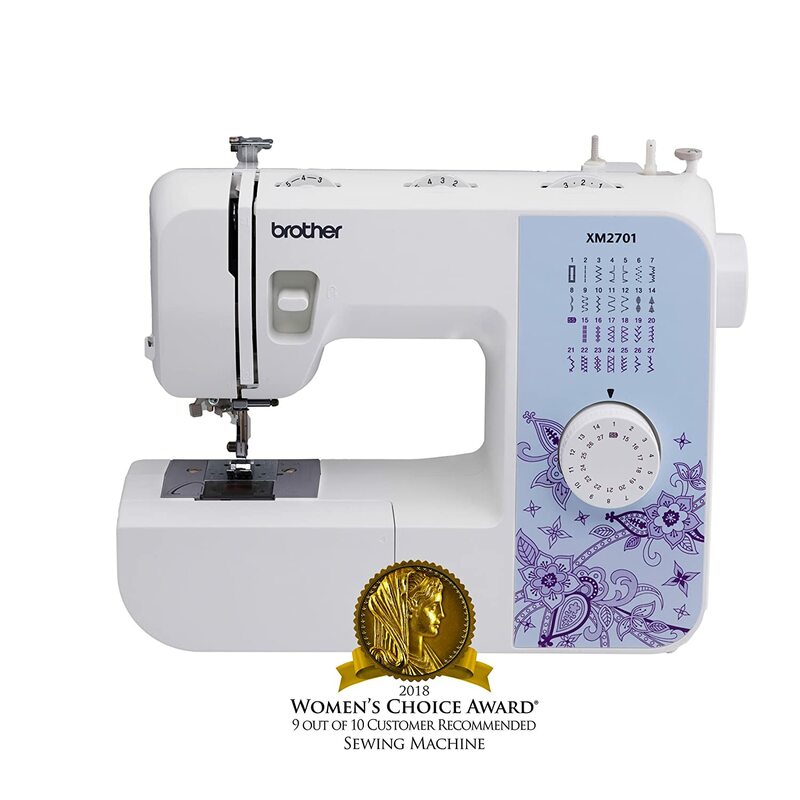 This excellent Brother Project Runway CS5055PRW retails at an affordable price and is one of the best Brother sewing machines for beginners as well as well as experienced professionals. It is a fully computerized electric sewing machine with great features that will appeal to both sewists on different skill levels. Let’s have a brief overview of this really amazing brother sewing machine that has found its way into the hearts of many a sewist around the world. The Brother CS5055PRW Sewing Machine has got some amazing features that would sway both beginners and pro over. 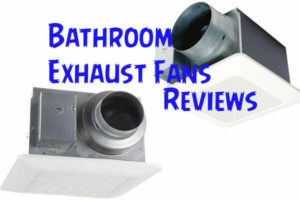 We examined some of the most basic of these briefly below. The Brother Project Runway CS5055PRW weighs just 10.65 pounds. This makes it easy to move around and store. Although it has a small footprint, the machine is full-sized and is able to handle a decent bit of serious sewing despite its lightweight design. Out of the box, the Brother Project Runway CS5055PRW has all you need to get started. It comes with a user manual and the design is pretty easy to comprehend. Threading is also easy as long as you’re following the laid out instructions. With 50 built-in stitch options and a range of stitch functions in this sewing machine, there is all you need to create amazing designs of your own choosing. Stitch length and width can be easily adjusted and there are five automatic one-step buttonholes and the maximum stitching speed is about 850 stitches per minute. Other features include well-designed feed dogs, bobbin winder, thread cutter, spool pin, LCD screen, LED light for working area as well as different presser feet. If you are in the market for a sewing machine that will easily fit the bill as an amazing learning tool for a beginner while still being able to satisfy the basic needs and requirements of the most demanding professionals, then this may be it. 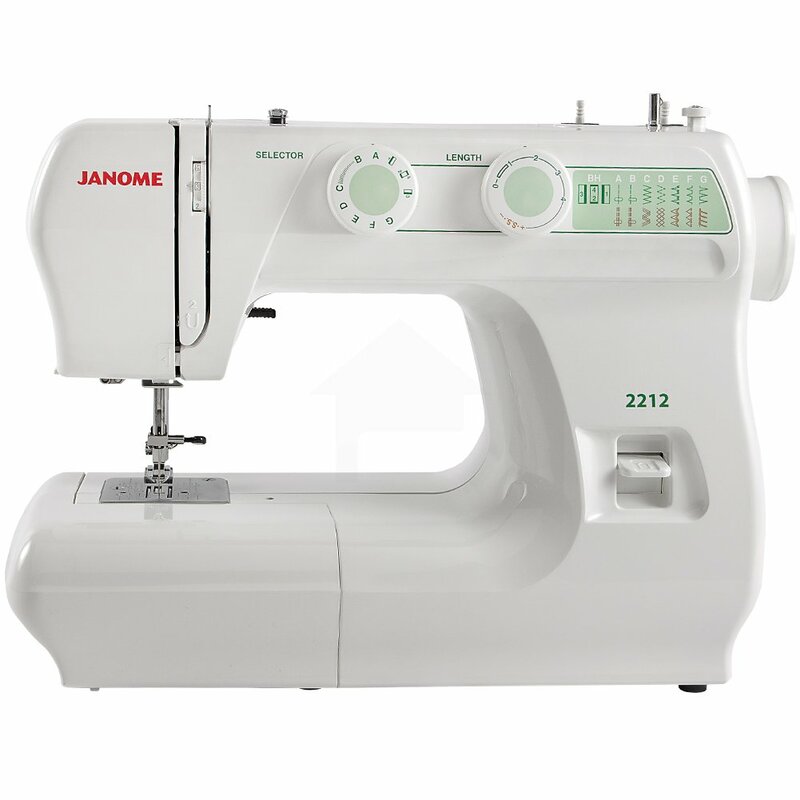 The Janome 212 Sewing Machine is a solid and plain-looking machine retailing at a price point that seems a bargain when compared with the features and benefits on offer. 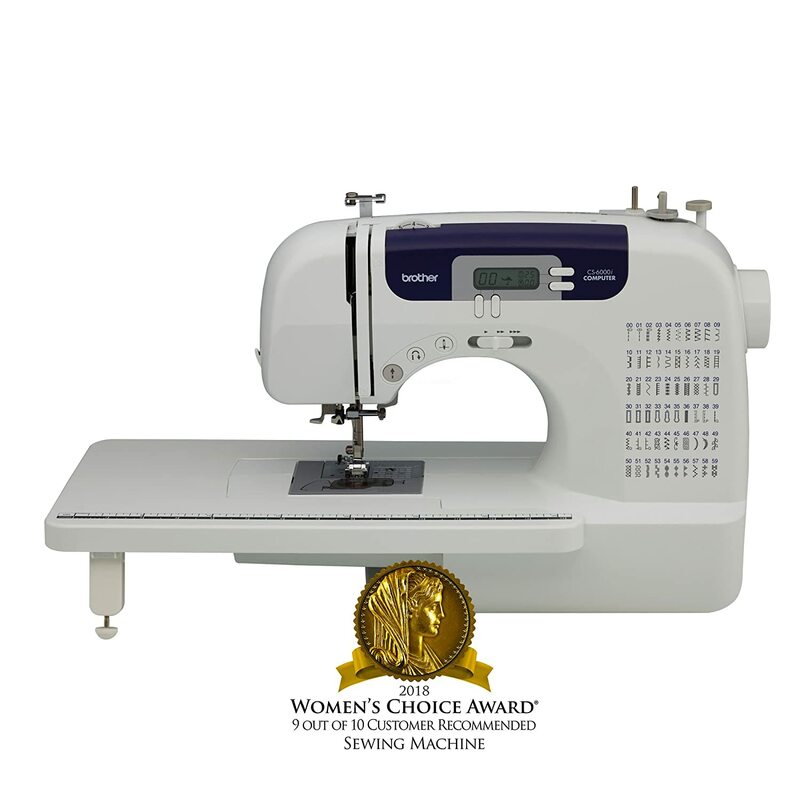 The Janome 2212 Sewing Machine is a popular choice for many people and it has received praises and encouraging words despite lacking features such as an automatic needle threader and a top loading bobbin. The simplicity, basic functionality, reliability, and affordable pricing of this sewing machine are some of those things that have endeared it to a lot of people. The Janome 2212 Sewing Machine is easy to use due to its simple plain design. It does not involve complex features that may interfere with the learning curves of a beginner. It also comes with an easy to understand and well-written manual that beginners will find really helpful. The Janome 2212 Sewing Machine is bound to save you a lot as far as money and time are concerned. It’s got an amazing stitching speed and retails for a really affordable price. There is a manual tension control with which you can easily get your sewing done without any issues. As far as the Janome 2212 Sewing Machine goes, it surprises us and went far beyond what is normally the norm from other devices in its price range. Front loading bobbin not as great as the top loading configuration. The Singer 1507 Sewing Machine excels as a great choice for beginners due to its inexpensive price, compact and easy-to-use design. Although it comes with a modest 8 built-in stitches and a four-step buttonhole, it still is the darling of a lot of sewists around the globe who love to use it for household sewing as well as for learning in sewing classes. The Singer 1507 Sewing Machine has basic features that will aid positively help the learning curve for beginners. There are only those features you’d mostly use and this helps you adapt and learn quickly. There are no gimmicky or fancy features to distract you. You get the basics from the portable and lightweight sewing machine and it is all you need when you are in the early phase of sharpening your sewing skills. The Singer 1507 Sewing Machine comes with a decent number of accessories. These include several different feet, bobbins, needles, spool caps, oil bottle, lint brush, screwdriver, and seam ripper. Since beginners will be mostly better off with easy-to-use sewing machines rather than one with an exorbitant array of features that won’t be used at the initial stages. It is not every day you’ll find an excellent sewing machine ridiculously priced well under a $100. This lightweight and compact full-size Brother sewing machine is aimed particularly at those learning the art of sewing. This is one no-frills sewing machine that is exceptionally great as a learning tool or for use as a household sewing machine. For the price, it ditches all the bells and whistles of the more expensive sewing machines but retains enough features that will still make it a suitable choice for mending dresses, repairs and simple household sewing. 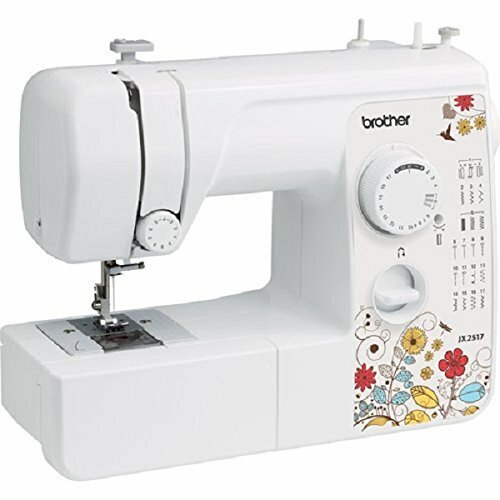 There are a decent number of features in the Brother JX2517 Sewing Machine even though it retails at such a low price, although these are unlike those fancy options in sewing machines like the Brother CS6000I Sewing Machine, it still has enough of those you’ll need to successfully cross the line between amateur and expert sewing. The Brother JX2517 Sewing Machine is easy to set up and use out of the box. It comes with a user’s manual that is well-written, simple and easy to understand. You’ll have fewer issues as compared with other models especially some of those not included in this list of the best sewing machine for beginners. Needle threading seems an issue for some. Try and leave about 6 to 10 inches of thread eye when cutting the thread after running a stitch to solve this. Don’t think you will outgrow or get bored with this sewing machine anytime soon. Although we discovered it to be one of the best choices for beginners, it’s still got some really amazing bundle of features that will keep you comfortably okay even after you become a pro. With a dial, you can easily choose your stitching style. By rotating this dial in the anticlockwise direction, you’ll be able to set your desired stitching style which never changes unless you reset it. You can choose your preferred pattern according to the diagram indicated on the stitch. 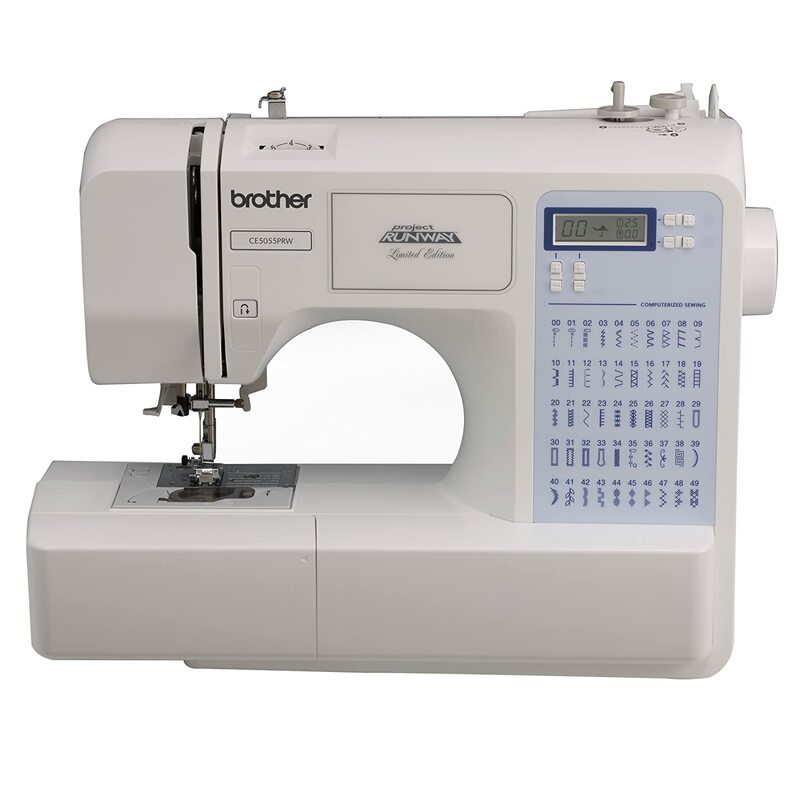 With the Brother XL2600I Sewing Machine, creating buttonholes is a breeze. All you need to do is figure out the width of the buttonhole. This is a great feature you should endeavor to have in your sewing machine as it makes things easier. The Brother XL2600I has a diagram on its sidebar by which you can easily configure the threading. The threading instructions are easy to follow and can easily help to adjust the settings. 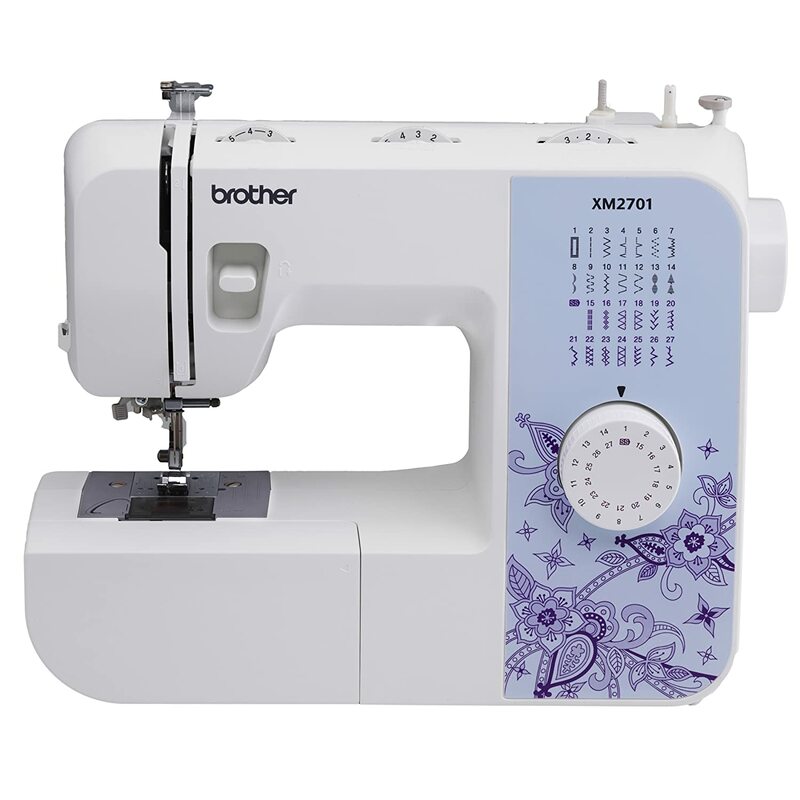 The Brother XL2600I comes with 25 different in-built stitch options. There are 14 styles of sewing as well as some others for quilting and decorative purposes. It also has an automatic size buttonhole stitch which for beginners and experts is a great option to have. The sewing machine comes with all the necessary accessories to make your experience as easy and fun as it should be. Some of these include an accessory pouch, key presser feet, twin needle, darning plate, as well as 3 bobbins. If one particular sewing machine should come top of our recommendations for beginners, it will be the Brother CS6000I Sewing Machine. It combines a reasonable pricing along with a feature set that won’t even get obsolete after you become a pro in the art of sewing. This is not to undermine any of the above though as all of these had been carefully researched and finally chosen after rigorous research in an industry with hundreds of different competing products. Learning how to sew is majorly practical and your skills would usually get better with time. For beginners, using a sewing machine is basically requires getting the basic knowledge about some three distinct steps. These three steps involved are briefly detailed below. When you finally get your machine, the first step you should take is to become conversant with each and every part of the machine. This requires you ascertaining important parts starting with the power switch down to others such as the spool spin, the bobbin winder, the thread guide, thread take-up lever, the stitch adjustment buttons, the needle clamp screw, tension dial, presser foot, needle plate, feed dog, as well as the bobbin cover and bobbin release. After you identify these parts and ascertain what they are used for, the next step is then to set up your machine. To set up your sewing machine, you’ll start by laying your sewing machine on a sturdy surface such as a table, a desk, or counter in front of you. Find a chair that will make you comfortable and well-positioned in front of the machine. Before turning it on, endeavor to check out some things. First, install the needle securely and then wind and insert the bobbin. Thread the sewing machine following the guide on your device. Get both threads out and then plug and turn on the sewing machine. Plug the pedal into your machine too and place it comfortably under your feet. To start with, you can practice on a scrap material for your first sewing experience. Avoid using denim and other fabric that may appear too hard when starting out. Use your manual and select a straight stitch as well as medium stitch length. Drop your needle into the material and by pressing the pedal, you can start sewing. While this is a very brief guideline on sewing with your sewing machine as a beginner, you can find a more detailed tutorial on how to use a sewing machine on Wikihow. We’ll be winding down the curtain by once again admonishing beginner to be wary of going for just about any product. For learning, reliability, durability, and functionality are important factors that will help greatly. These tested and trusted beginner sewing machines from reliable sewing machine brands that include Brother, Singer, and Janome are the best you’ll find around. Whether you’re are starting out fresh or picking up your passion after a while again, you’ll hardly go wrong with any of these. Good luck on your journey to being a pro, whichever you choose from these, it will definitely be a worthy investment into an interesting adventure!